School banking is gradually getting huge responses from the students across the country as deposits with the banking accounts crossed Taka 1,400 crore at the end of June 2018. The central bank's latest quarterly report on financial inclusion shows that a total of Taka 1,419.86 crore was deposited with 15,39,836 school banking accounts at 56 scheduled banks as of June 30 this year. According to the report, the school banking service is more popular in the cities than in the rural areas as 9,42,388 school banking accounts were opened in the cities against 5,97,448 accounts in the rural areas. The banking is also more popular among the male students than the female students as 8,93,793 school banking accounts were opened by male students against 6,46,043 by female students. 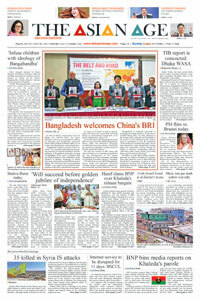 "Bangladesh Bank launched the program in November 2010 for school students to help them save up for the future, learn financial literacy at an early age and build the habit of saving," a BB official told the news agency.